The difference between Management and leadership has been the most unresolved topics in our world today, and yet we cannot do without them. In other to become a leader, it is necessary you understand clearly, the difference between management and leadership. 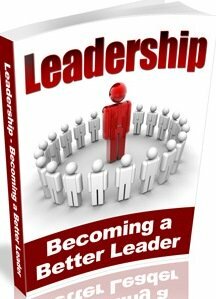 You will gain a deeper insight on leadership. Every leader was once a manager on their way to leadership. Therefore in other to become an effective leader, you must also learn to manage. There have been many situations in which managers have been mistaken for leaders and placed in leadership or managerial position but were unable to function in leadership. This has frustrated the purposes and objective of their organization, community, business and family. - A manager has no vision, but he is responsible for someone else vision and resources. - Managers wait for instructions in other to make changes. - Managers follow rules and are ready to obey the instructions to the letter. 4. Leadership is self-manifestation; leaders discover a sense of purpose for their life, business or organization. - The Manager only thinks of the next position. - Managers are in for what they can receive. - Managers rely on control to achieve goals. - Managers maintain the standard. Most leaders were manages on their way to leadership, it is usually a natural path of progression. Therefore understanding these differences will take you one step close to discovering your leadership potentials.